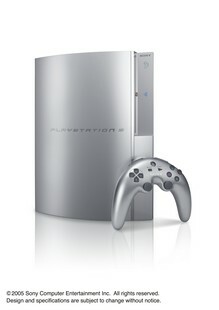 Will offer a high definition camera as a peripheral to the PS3, allowing players to use the game machine as a makeshift video phone or let them broadcast their own programming, whether live or from the machine's detachable 2.5-inch hard drive. That is SO COOL! Folks, just get yourself a Sony Playstation 3, and HD Camera, and a BIG internet connection, and you are broadcasting LIVE to the world! Oh man. Everyone will have their own TV station soon. Maybe we will all get so sick of each other, that we will actually go outside and try to improve the environment. Nah!